Restaurateur Andre Neyrey celebrates the flavors and exuberance of his hometown of New Orleans at Gentilly Kitchen + Bar in Manhattan’s West Village. 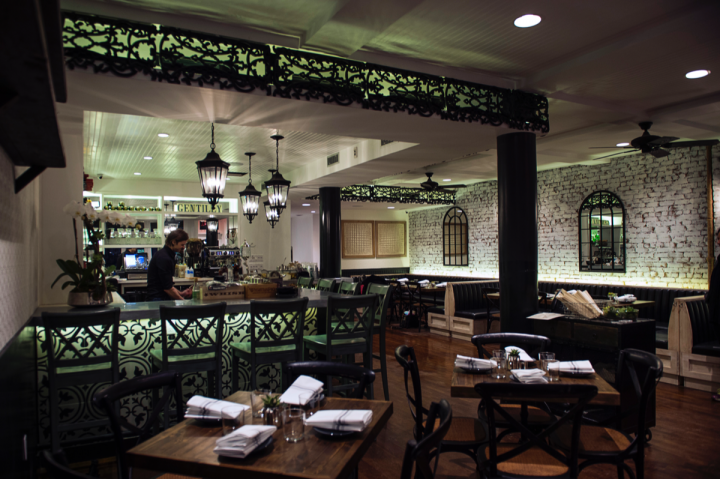 Named for the Big Easy neighborhood where Neyrey grew up, Gentilly opened on February 23rd with a laid-back Southern atmosphere and an eclectic menu rooted in French and Creole culture. The venue boasts an extensive drinks list that spans classic and new cocktails, as well as several iterations of the Sazerac ($10 to $14) and a fountain featuring Pernod absinthe. Cocktail standouts include the Duck Fat Sazerac, mixing duck fat–infused Rittenhouse rye whiskey, Peychaud’s bitters and simple syrup, topped with a Pernod absinthe mist and garnished with a lemon twist, and the El Niño, a blend of Montelobos Joven mezcal, lime juice and passion fruit simple syrup. Gentilly also offers a selection of wines from around the world ($9 to $14 a glass; $31 to $64 a 750-ml. bottle) and craft beer, including several Louisiana labels ($6 to $12 a draft pour or bottle). The restaurant’s food menu puts a modern spin on French and Creole fare. Appetizers ($8 to $18) include blackened foie gras, crawfish and corn beignets and frog legs Provençale, while entrées ($22 to $29) range from Abita beer–braised pork shank and bacon-wrapped trout almondine to crawfish ravioli. Owned by Blackwood Hospitality—which operates a number of other New York City venues—Gentilly has a relaxed ambiance.